Members of The Courtyard Pool team in Los Montesinos. 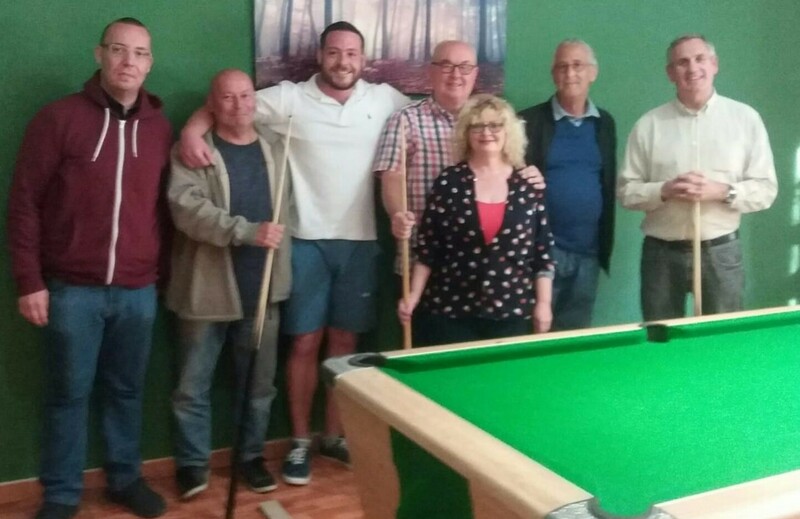 The Courtyard Pool team in Los Montesinos, Alicante, are looking forward to the Summer Pool league commencing after their first season in the Torrevieja Winter Pool league. 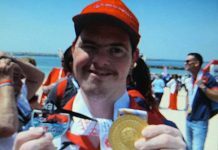 “It was an unknown venture in entering the Torrevieja Winter Pool League, which has been a thoroughly enjoyable experience, leading to entering the forthcoming summer league,” Dale McGuiness told me. The Courtyard owners Samantha Barton and partner Dale set up the pool team, having taken over the venue in May 2018. “The aim was to not only give pool players in the area a venue to play – but also give locals the chance to meet new friends – and possibly take up a new hobby over the winter period,” said Dale. “We recruited 10 new players, of which half had never been involved in a pool team before,” said Dale. The Courtyard commenced the winter season with only a vague idea of what to expect and what they could achieve: “The purpose was to win as many games as possible – but mostly to enjoy themselves,” said Dale. The winter season got off to a flying start – with The Courtyard winning their opening three games – resulting in pool captain Dale being knick named ‘The Icemon’ McGuinness. “At that stage of the season we became naïvely confident that The Courtyard could actually win the league,!” said Dale. With one game to play Dale jested: “The Courtyard have found some form – and rocketed up the table – we now lie second bottom!”. The Courtyard pool team began with Sam’s brother Ricky and her stepfather Ron – known only to his peers as ‘The Rocket’ – and Jeff Whatley. “Midway through the season we recruited additional players – including The Courtyard’s reigning Mr and Mrs Champion duo Geoff and Ali – now co-captain Graeme Jolly, young Pete and ‘youngish’ Peter,” quipped Dale. The Torrevieja Winter Pool League teams have been praised for their sportsmanship during the season. “I would like to thank every team The Courtyard have played this season – all great competitors, and look forward to playing them in the Summer League. “Thanks also goes to all the players and a huge thanks to supporters. Also to Sam, for providing great food throughout the season,” said Dale. The Courtyard are interested in welcoming new pool members for the 2019 Torrevieja summer league. Keeping up with the Joneses – but not Messi! Rocket Ronnie still potting balls – not plants!